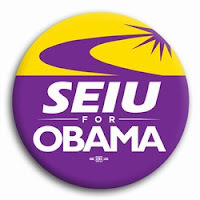 Among the SEIU sops in the bill are vast new funding mechanisms for home health care organizations. The union has focused on unionizing home health care workers and now the taxpayers will provide hundreds of millions each year to pay these new union members. The bill also provides $10 billion in direct taxpayer subsidies to pay health care costs for retired union members. This foists the every increasing health care cost of no-longer productive members off on the treasury. In addition, it sets up all sorts of government bodies to micro-manage the health care industry to the advantage of labor. These bodies will make regulations for the workplace, training and wage levels. They will also serve as “diversity panels” and will be empowered to seek appropriate participation in health care jobs for disadvantaged groups. Buried in Title II, Part 3, Subtitle D of the bill is the requirement that the HHS panel that will set standards for health care employment must have union (read SEIU, the biggest health industry union) representation. These little set asides tucked away in the bill will strengthen SEIU’s hand by helping it unionize more of the health care workforce and provide billions in funding for those new union jobs. They also allow labor to infiltrate the regulatory process and push for further advantages. The simple truth is that for the single biggest advocacy bloc pushing the health care bill, your health is the furthest thing from their mind. Their objective is to use the bill to make it easier to unionize health care workers, which certainly won’t enhance patient care, and to advance the larger goals of organized labor as a whole, and use the resulting debt from the administration to push through the noxious “card check” bill through despite public opposition.